Ever wondered how to cook asparagus? It is a quick and easy vegetable to prepare on the stove or in the oven. 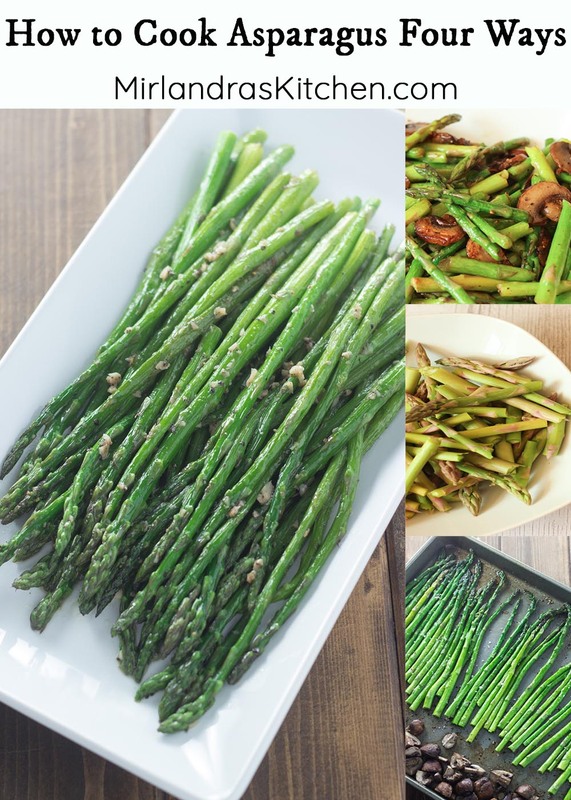 These four recipes are all great options for making delicious asparagus seasoned just the way you like it! 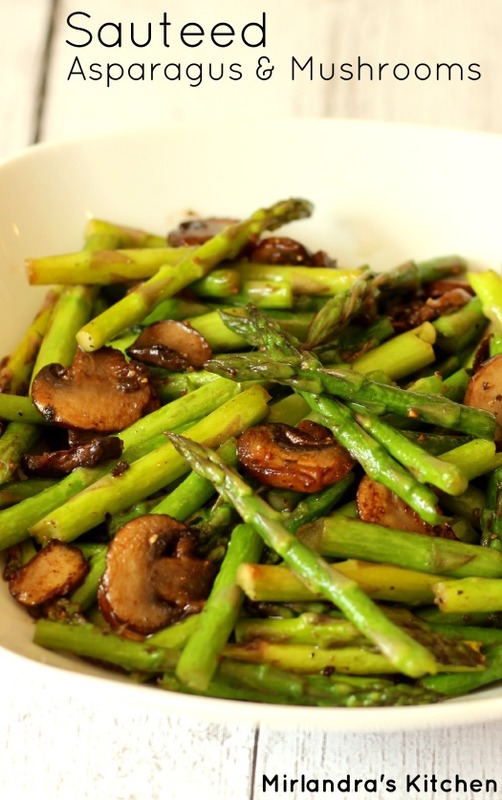 Five minute sautéed asparagus and mushrooms make an easy spring side dish. Simple enough for every day, fancy enough for a special meal, mushrooms optional. This one is one of the most popular recipes on my site. 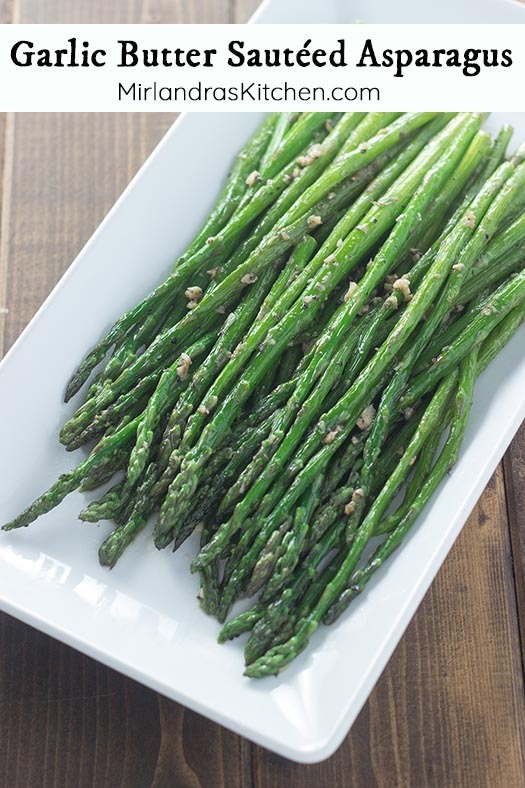 Garlic Butter Sautéed Asparagus is a fast for weeknight dinners and holiday feasts. Garlic gives it a different flavor and everything you need (except the asparagus) is probably already in your fridge! 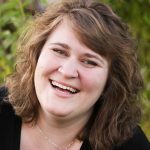 Check out my tips for picking out perfect asparagus in the store (bottom of recipe). Already making dinner on the stove? 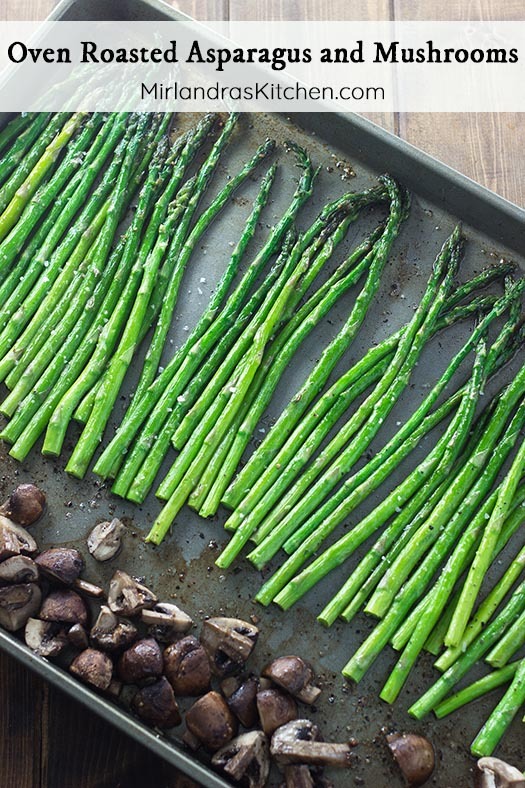 Try cooking your asparagus in the oven! Well roasted asparagus is a real treat! The secret is simple seasoning, good timing and of course adding some mushrooms! This is a quick and easy side dish that goes well with just about anything. Even a well loved vegetable can get boring over time. Trying a unusual seasoning can freshen up an old favorite! This miso roasted asparagus is easy to put in the oven while you put dinner together. I love the subtle salty undertone from the miso. 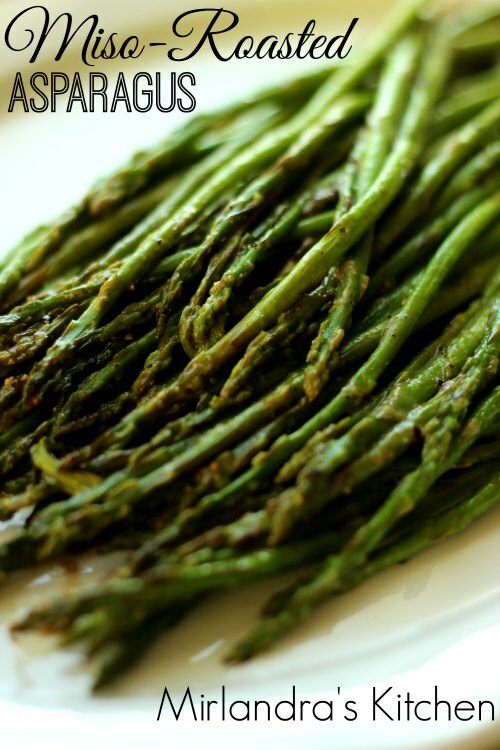 Anybody can nail this recipe and cook wonderful asparagus! Have a great week. Thanks for stopping by to cook with me!